We are pleased to announce that Didem P. Sarikaya (University of California, Davis) has been appointed a Trainee Advisory Representative to the GSA Board of Directors for 2018–2020. Sarikaya has been a GSA member since 2010, and since 2017 has served as the Co-Chair of GSA’s Early Career Scientist Career Development Subcommittee, helping spearhead the successful “Decoding Life” interview series. This series introduces the GSA community to scientists with diverse career paths, tracing the many directions possible after research training. She is committed to bringing forward stories and tools for trainees to learn more about career options. “I’m very excited to bring forward the perspectives and experiences of early career scientists to the Board, so we can provide better resources to help early career scientists make the most of their training,” says Sarikaya. As a postdoctoral fellow, Sarikaya studys how population genetic variation affects cellular function and ultimately, health and survival, with a focus on key signaling pathways in Drosophila. 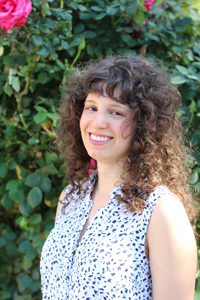 She is the recipient of the University of California’s President’s Postdoctoral Fellowship and plans to use resources from the fellowship on projects that support retention of women and underrepresented scientists in academia. “We’re delighted that Didem will join the GSA Board of Directors as our Postdoctoral Representative,” says Tracey DePellegrin, GSA Executive Director. “She’s keenly sensitive to issues of diversity and inclusion, and the myriad factors affecting trainees and the challenges they face. She’ll bring a welcome perspective to the Board discussions and our strategy going forward. Sarikaya joins 2018–2019 Trainee Advisory Representative Alessandro Bailetti in representing the voice and interests of GSA’s early career members to the Board of Directors. Learn more about Didem, her research, and her plans in this ECS Leader Spotlight.